Ever wonder why statues and paintings of Joseph depict his staff topped with flowers? The flowered staff is a reminder of how Mary’s spouse was chosen. According to legend, when the time came for Mary to be betrothed, the Temple priests gathered the walking sticks of all prospective suitors. Miraculously, Joseph’s burst into flower. This was a sign that God had chosen Joseph as the earthly spouse and guardian of Our Lady. 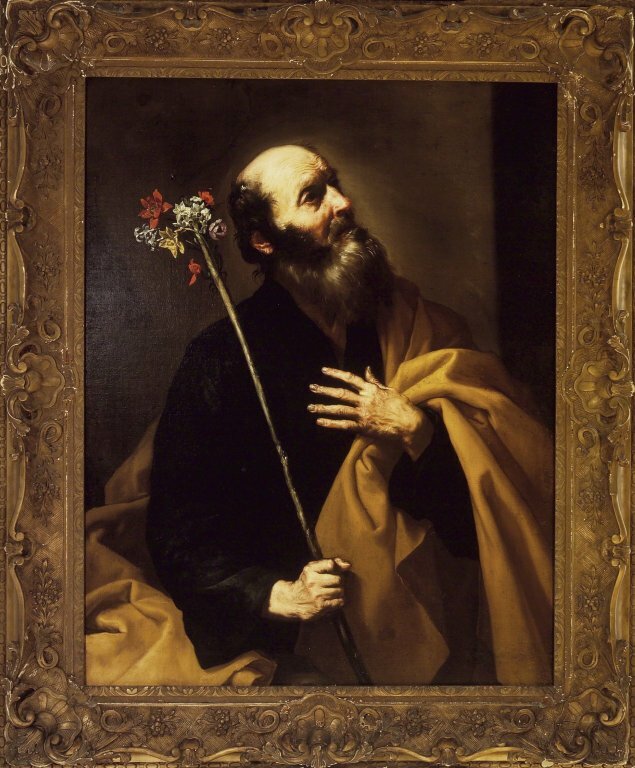 35 minute prayer to Saint Joseph for challenges in personal or work life. Struggling to find the right job breakthrough? Go to St Joseph! To be loved and to love, to be transformed by love, and to be transformed by the beauty of God. Mary, the immaculate Mother of God, pray for us! Happy Birthday Lights! Thanks for all that you are! Saint Thomas said, “Let us also go to die with him” (John 11:16b). Poor Thomas! He made one remark and has been branded as “Doubting Thomas” ever since. But if he doubted, he also believed. He made what is certainly the most explicit statement of faith in the New Testament: “My Lord and My God!” (see John 20:24-28) and, in so expressing his faith, gave Christians a prayer that will be said till the end of time. He also occasioned a compliment from Jesus to all later Christians: “Have you come to believe because you have seen me? Blessed are those who have not seen and have believed” (John 20:29). Thomas should be known for his courage. Perhaps what he said was impetuous—since he ran, like the rest, at the showdown—but he can scarcely have been insincere when he expressed his willingness to die with Jesus. The occasion was when Jesus proposed to go to Bethany after Lazarus had died. Since Bethany was near Jerusalem, this meant walking into the very midst of his enemies and to almost certain death. Realizing this, Thomas said to the other apostles, “Let us also go to die with him” (John 11:16b). 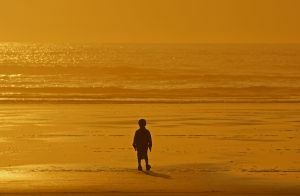 Thomas shares the lot of Peter the impetuous, James and John, the “sons of thunder,” Philip and his foolish request to see the Father—indeed all the apostles in their weakness and lack of understanding. We must not exaggerate these facts, however, for Christ did not pick worthless men. But their human weakness again points up the fact that holiness is a gift of God, not a human creation; it is given to ordinary men and women with weaknesses; it is God who gradually transforms the weaknesses into the image of Christ, the courageous, trusting and loving one. Authentic true power is service. Look at Saint Joseph. 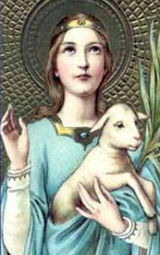 Every year on her feast day (January 21), lambs–a sign of Saint Agnes’s purity–are blessed at the basilica, and their wool is then used to create palliums, the distinctive garments given by the Pope to archbishops to show their unity with the Holy Father. One source of Chaminade’s inspiration came from prayerful reflection on the Church community presented in the Acts of the Apostles. How did the fear­ful little community of the Upper Room, through the Holy Spirit, become the vibrant missionary Church of the later chapters of Acts? 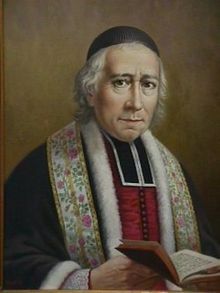 Blessed Chaminade noted three key elements in the Church of Acts: the centrality of Mary, the need for inclusiveness, and the urgency to foster faith and a deep sense of missionary activity.